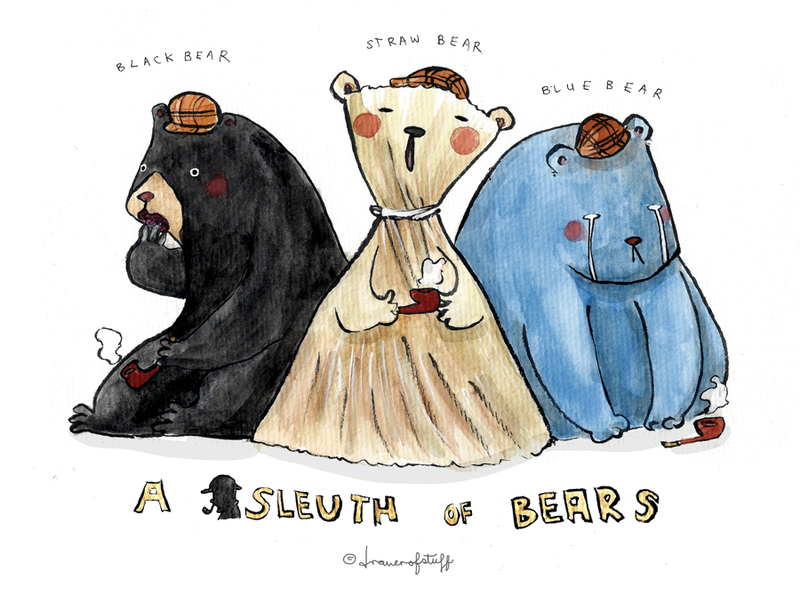 collective nouns are pretty fascinating – like a crash of hippos and a murder of crows. Grizzi loves his honey. 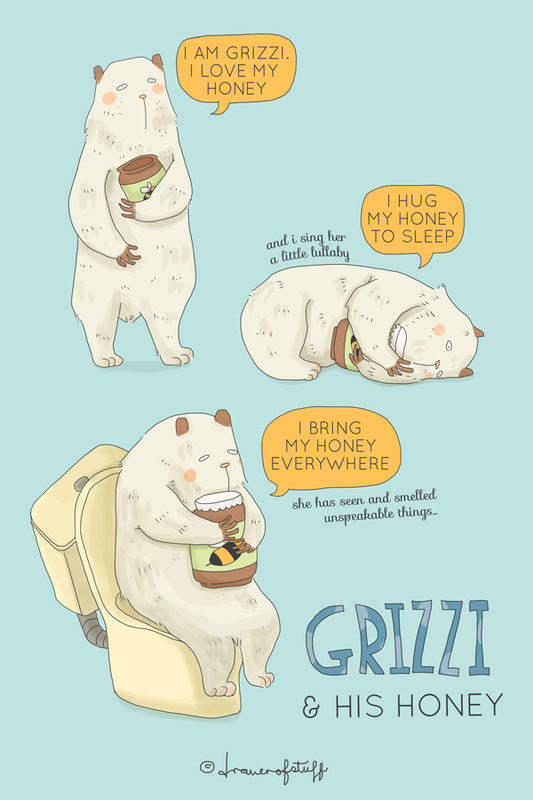 Grizzi loves his honey very much.